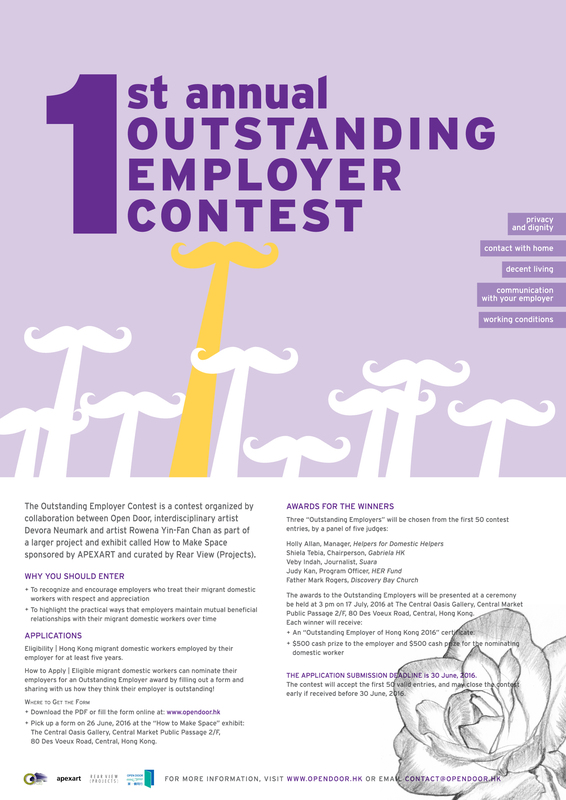 The Outstanding Employer Contest is a contest organized by collaboration between Open Door, interdisciplinary artist Devora Neumark and artist Rowena Yin-Fan Chan as part of a larger project and exhibit called How to Make Space sponsored by APEXART and curated by Rear View (Projects). It was launched on June 16, and will continue until the deadline June 30. To download our contest flyer with application details, see here e.
For fuller information about our Contest, read here.